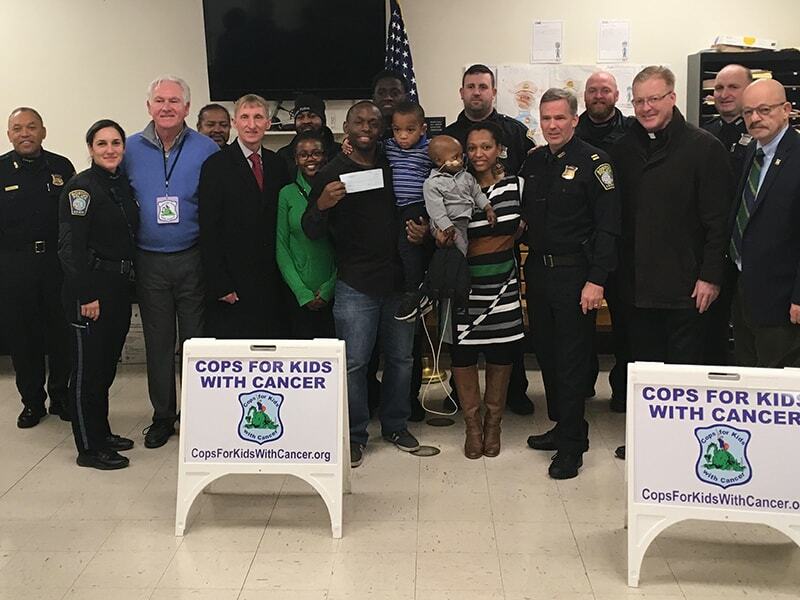 On 12/21/17 Paul Ivens and Steve DaCorta of CFKWC, went to the Boston Police Dept. Area C-11, and made a donation to Andre Kiranga and family. Fr. John Currie of St. Peter’s Church was on hand to give a blessing to Andre. We would like to thank all the men and women of Area C-11 for their assistance and support. A special ‘Thank You’ to Captain Conley and BPD Commissioner William Evans for assisting in this donation.